Wolfman and Pérez. Claremont and Byrne. Johns and Lee. Levitz and Giffen. Lee and Kirby. As any fanboy (or girl) knows, that lineup of names amounts to a murderer's row of classic comic book dream teams, now we can add Snyder and Jock. The team, who most recently made their mark on DC's Batman released their first independent, creatively owned comic series WYTCHES from Image Comics to critical acclaim last month and were the TALK of New York Comic Con when Brad Pitt's Plan B Films announced they'd already optioned the series. I had the privilege of a brief chat with the duo the week before Halloween and before release of the second issue of this spectacular new series! You and Snyder seem to work well together -- are your renderings of his imagination often similar to the way he intended? Jock: We have history together working on BATMAN: THE BLACK MIRROR and I relished the opportunity to work with him again. Jumping from our work together on one of the best known superheroes to one of the best known horror myths has been a treat and Scott's instincts are great. We talked a lot about the design of the creatures... many of the details that you see in the book came from him. The features on the side of the face so they could creepily peek around trees, their size... their back story and living habits. It's been great bringing that to life. I find it's always best to mine the writers ideas if you can, they'll often have a pretty fully formed idea of what they're trying to get across in a story, and that's invaluable. Scott Snyder: Jock is being too kind! But yes, we work together very well. It's one of the best collaborations I've ever been a part of. We're friends outside of comics, as well, and we stay in close contact on this, talking at least a couple times a week. One thing I love about Jock's art is how thoughtful he is on the page. He's able to create these incredibly unsettling moments simply by angling the panel a certain way, or distancing the reader from a character just a bit more than expected. he's a master of creating mood, panel to panel, in these smart visceral ways. 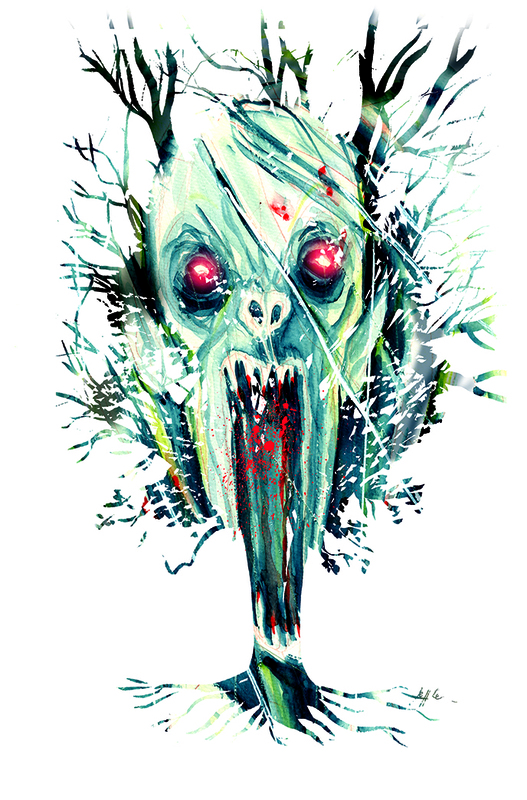 When I had the idea for Wytches, I knew he was the guy for it. He can do intimacy and he can do horror and even more impressively, he can do them in the same scene. There was never anyone else I was thinking about for this. Wytches is the first creator owned project by the two of you and has already been optioned by Brad Pitt's Plan B films, does that add pressure on you to sustain excitement? Jock: I guess we're aware that we're being 'watched' maybe a little more intently than if the deal hadn't been struck so soon, but honestly, you get nowhere if you worry about that stuff. Our job is to make the comic the best it can be, and that has to be our focus. At the heart of the story we're telling is the Rooks family, and their relationships. We try and set up believable, relatable characters that you care for; that way when the true horror of the wytches is revealed, it should hit home even harder. The response to issue 1 has been phenomenal so we're all very proud of what we've achieved. And movie wise -- we do have responsibilities there too, but the guys at Plan B are amazing. One of the reasons we went with them is that their instincts for the material is so good... their slate of films all feature strong, character led story lines, even if it's a genre film. We loved that and want to capitalize on that in the film project. Scott Snyder: Yeah, we couldn't be more grateful to Plan B for their vision and support with this one. They've been terrific to us. And I think both of us feel that the best way we can pay that forward is to simply make this best comic we can. As a writer, there are choices I'm making for the comic that I know would need to be reworked for film, choices I'm making because horror on the page comes from a different place than horror on the screen, but I know that if I wrote the comic like a movie, it'd be a worse comic for it, and that'd serve no one, you know? 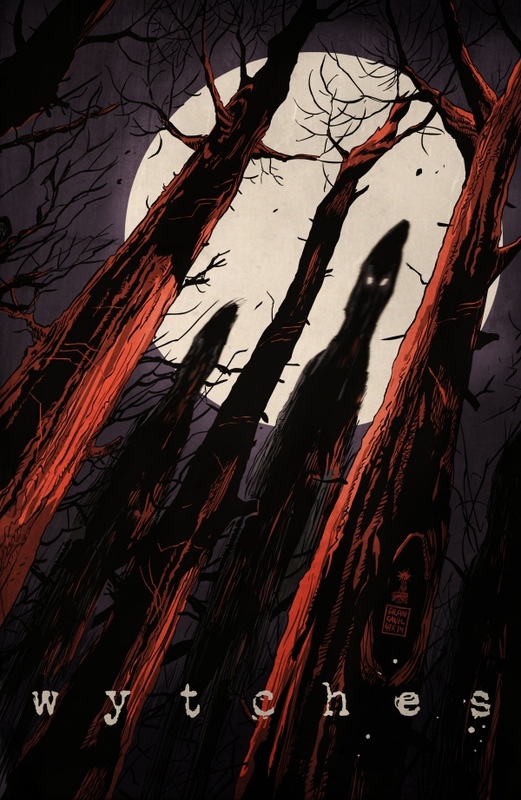 The witches (wytches) pictured in this tale are much closer to the classical ancient Greek form, meaning more elemental creatures, rather than the "cast-a-spell-on-you-kind," why introduce this form into comics? Jock: That's an interesting question, we didn't specifically draw on the ancient greek idea. Our take was to push our idea of what a witch really is, basically terrifying creatures, but grounded in reality. I'd liken it more to the way that in ancient times, people often saw fantastic elements of nature as witchcraft.. or the gods... or 'sky chariots' carrying alien beings... whatever it was! I'd like to think our wytches have existed this whole time and have just been misunderstood up until now. We're only just finding out the truth! Scott Snyder: Our wytches are more animalistic - they're tall, skeletal, cannabalistic. They're humanoid, but not human. We wanted them to be almost like mutations, something that branched off from humanity and now preys on us. Their design is meant to be functional, too - the eyes on the side so they can peek around trees easier... they're predators. Jock: Definitely carving pumpkins! Maybe this year's carve a Wytch. Scott Snyder: Seeing Jock carve a wytch. WYTCHES #2 is available November 19!